Try low-impact exercises for weight loss when suffering from back pain. Back pain can slow you down, but that doesn’t mean you should stop exercising. A study published in 2013 in the journal “Clinical Rehabilitation” found that patients with a history of back pain benefited from a regular walking program. 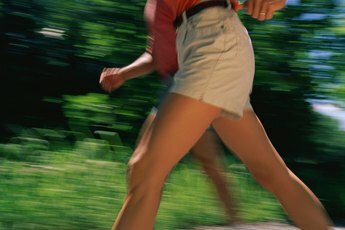 Walking is also beneficial for losing weight because of the calorie-burning benefits. To lose weight, you must burn more calories than you consume. A 150-pound person can burn 225 calories when walking for 60 minutes at a moderate pace. The American Heart Association recommends at least 150 minutes of moderate exercise per week. Start out by exercising five days per week for 30 minutes. 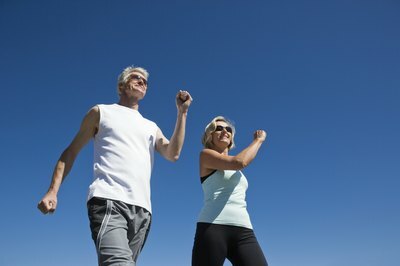 In order to speed up the weight-loss process, increase your physical activity. Try exercising for 60 minutes five days per week, or plan to exercise seven days per week. Walk on a treadmill, which has less of an impact on your knees, joints and spine than pavement. Purchase walking shoes that provide ample support to help ease your back pain. Schedule time to take a brisk walk at least five days per week for optimal weight-loss benefits. Recruit a workout buddy to keep you motivated. 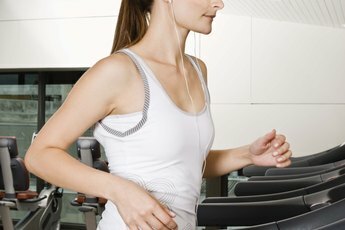 Familiarize yourself with the settings on the treadmill for safety. Warm up for five minutes by walking on the treadmill at 2 mph. Look forward and press your shoulders back. Have your arms slightly bent at your sides. Bend your knees slightly while walking and keep your spine straight. Gradually increase the speed until you are walking briskly. Adding an incline to the treadmill will work additional leg and core muscles. Adding an incline and increasing the speed on a treadmill will help you burn more calories during your workout. When your walk is complete, cool down with a slow walk. Decrease the speed to 2 mph for five minutes. Always talk to your doctor before beginning any new exercise program. Stop exercising if you experience shooting pains or numbness and seek medical attention immediately.